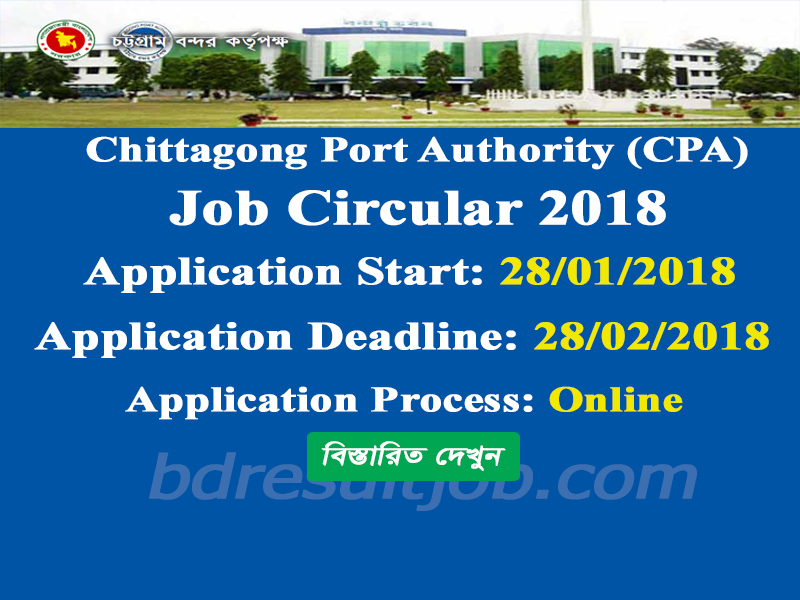 Chittagong Port Authority CPA (চট্টগ্রাম বন্দর কর্তৃপক্ষ) Laskar (লস্কর) Job Circular 2018 has been published on The Daily Purbokone at 24 January 2018 and the their official website at www.cpa.gov.bd. Online application has started via www.jobscpa.org. Original Bangladeshi candidates (freedom Fighter Quota) can apply by 28 January 2018 to 28 February 2018 online at www.jobscpa.org. Bellow you can see the Chittagong Port Authority job circular 2017. Here we will update admit card, seat plan for written exam. 7. Application process via Online. 1. Applicantӳ Age 30 on (28-02-2018). 1. visit: http://jobscpa.org/ and click Apply Online. 2. Form fill up carefully by bangla unicode. 3. Upload image (300*300 less then 25kb jpg format) and signature (300*80 less then 25kb jpg format). 4. After submit appliacation copy print and sonali seba money recipt download and print. 5. Any sonali bank branch (without Port Branch) pay 50/- sonali seba money receipt (not allowed bank draft/payorder/DT). 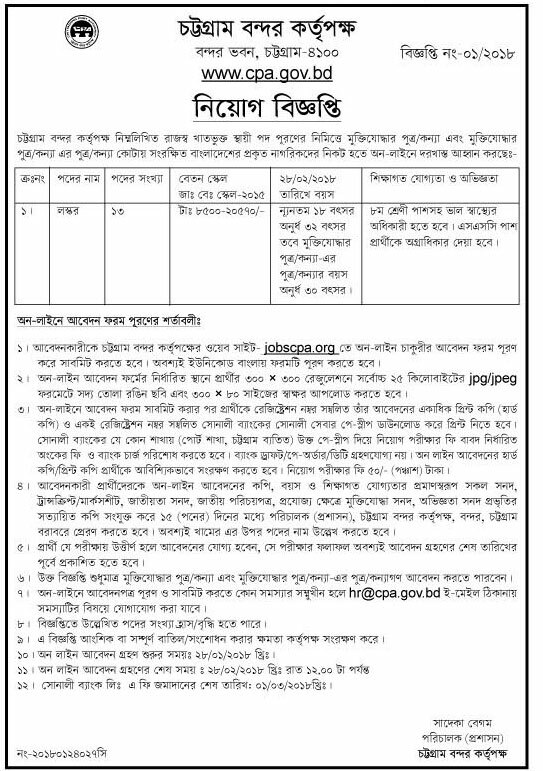 tags: www jobscpa org gov bd, www jobscpa org bd, jobscpa bd, admit card chittagong port, Chittagong Port Authority Laskar (লস্কর) Job Circular 2018, cpa org bd, jobscpa org 2018, jobscpa org gov bd, cpa gov bd online application. 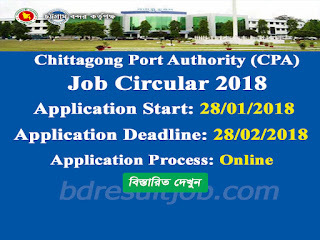 jobscpa exam date of chittagong port 2018, chittagong port authority Laskar (লস্কর) admit card. www jobscpa org gov bd, www jobscpa org bd, jobscpa bd, admit card chittagong port, Chittagong Port Authority Laskar (লস্কর) Job Circular 2018, cpa org bd, jobscpa org 2018, jobscpa org gov bd, cpa gov bd online application. jobscpa exam date of chittagong port 2018, chittagong port authority Laskar (লস্কর) admit card.